Is a spread a dip? I’ve debated more than once about what qualifies as a dip, a sauce, a spread, or a condiment. In my mind, they all may range in consistency and application, but the result is the same: combined flavors. One of the flavors is a vehicle in which to get the second flavor into your mouth. That means a shrimp butter recipe definitely belongs on the Saucy Dipper. And my mom told me to make it, so I had to post the recipe. She and her friends indulged in this shrimp butter awhile back and loved it. Now I’ve got the recipe and decided Mother’s Day would be the perfect time to eat it right up. 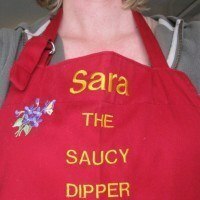 Plus, it gives me a chance to show off the stylish apron my mom made. Thanks, mom! Happy Mother’s Day! Instructions: Chop shrimp and the whites of the green onions. Soften butter and then combine all ingredients. You could also blend up all ingredients using a hand blender. Let chill in the refrigerator for 2-3 hours allowing the butter to firm up. This spread works great on crackers, cucumbers, and even Fritos (so I’m told). ps – This is the second dip of its kind that I’ve made. Here’s a link to my other shrimp dip recipe. The apron looks really cool! Love your shrimp spread. Yum! I’ve never had shrimp butter, but now I kind of need it. Love the apron! Love it! Wow- how many times how I used that in my cooking, with either my mom told me to or my grandmother. It is funny when you think about the methods I use sometimes too. Why? I don’t know? because my mom always did it that way or she always told me to do it that way. Love this post and love your version of shrimp butter! Mom’s definitely do it right. Or, at least they know how to do right by us. Thanks for stopping, Jessica. Yay! Looks delish and I LOVE the apron! Yay Mama Moose! 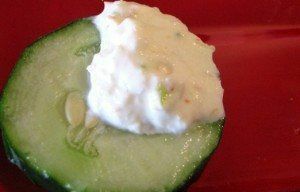 Nina – The other shrimp dip recipe I mention here is the one I made with you. Remember? Aww super cute apron! That dip sounds delicious…moms are always right. I never would have thought of making shrimp butter. This looks like a great party dip. 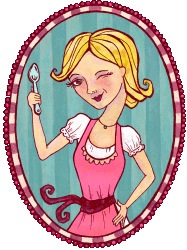 And I love the apron!